Almost done hand sewing the binding on a very overdue quilt. 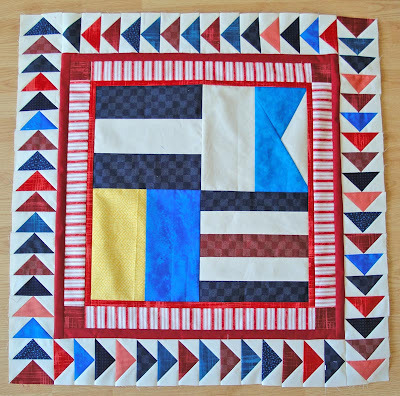 Good friends of mine asked me to make a quilt using red and blue colors, which to me suggests either a patriotic or nautical design. Nautical won. 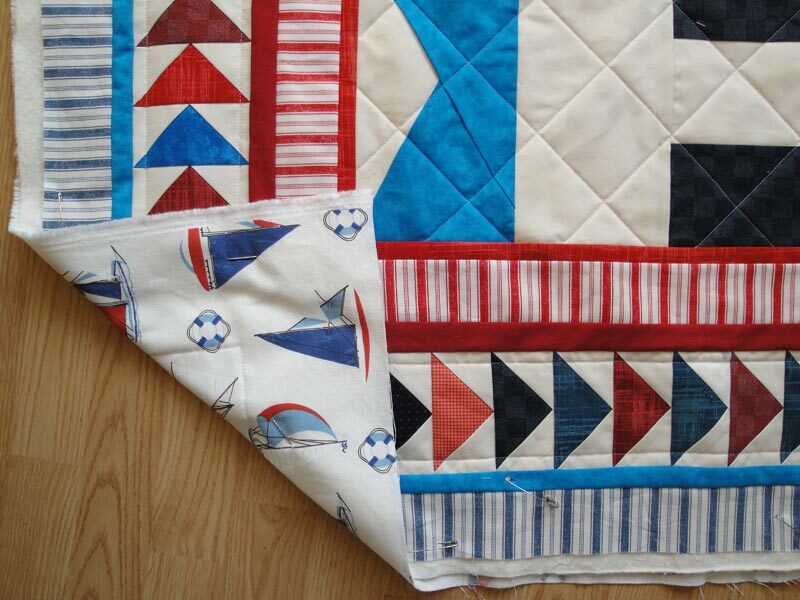 The center blocks are nautical flags that have English letter equivalents and spell out the recipient baby's name, Jack, clockwise from the top left corner. The design's simplicity belies the amount of sketching, thinking, and rethinking that went into this quilt. Even after committing to an idea after months of thinking and rearranging, I ended up altering the design as I laid the various pieces together. I am pleased with the end result because although the quilt is still playful and a baby quilt, it is not completely juvenile and should be able to grow with the boy. Plus, the backing is this awesome cotton/linen blend that cinches the deal.